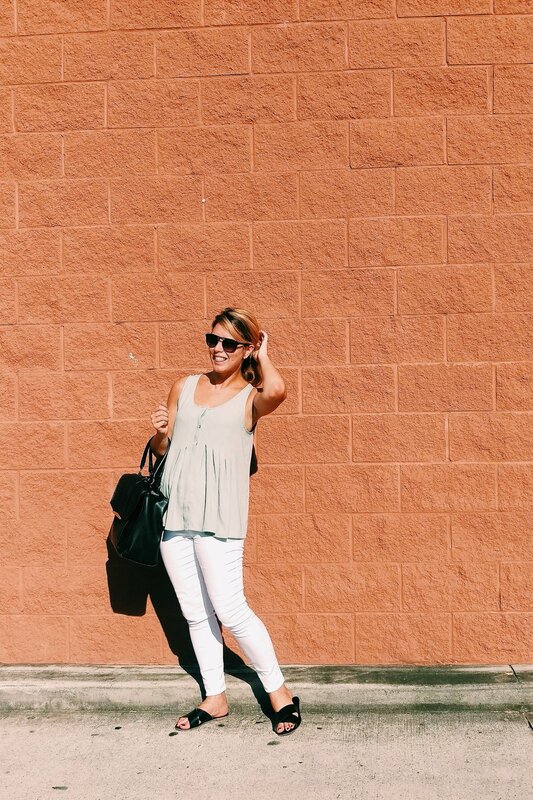 A pair of classic white jeans get so much mileage out of my wardrobe. I bought this pair last Spring and they are my go-to pair for travel, work and pretty much anything involving the need for a pair of jeans. As much as I love wearing dresses decked out in ruffles or bows… I also like to wear a more minimalistic outfit. 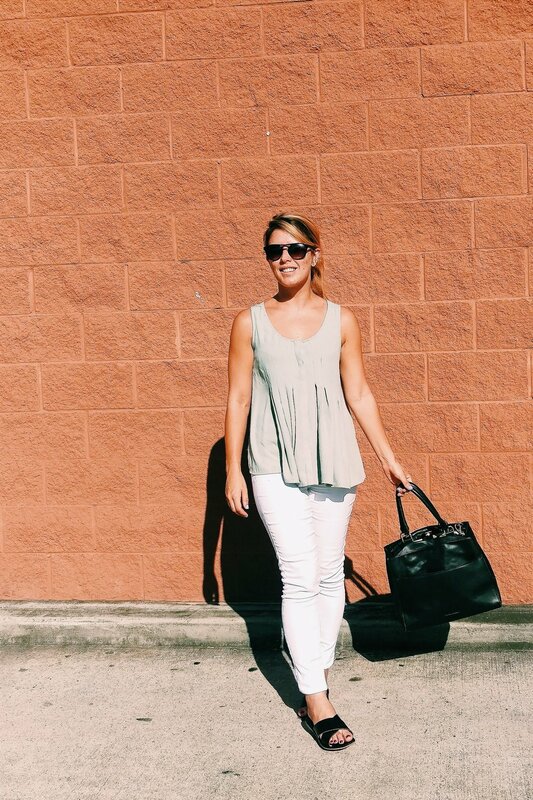 A simple sage green shell and black leather accessories pull this look together. It’s casual enough for shopping on a Saturday, but put together enough to wear to the office with a simple cardigan. As Fall is approaching, I’m adding some other classic items to my closet. I recently picked up a pair of Red Hunter Boots, a Patagonia Rain Coat and this fantastic jacket from LL Bean for the cooler months. I decided that although blush has been a staple in my closet for the past year, it’s time to add a little brighter of a hue and I’m taking red on by storm. Another change I am going to make over the next few months is giving you guys more content in smaller pieces. I realized that as life gets so busy, I need to simplify. As much as I enjoy doing longer posts, it’s incredibly time consuming. So here we go, just as I’ve been editing other parts of my life, I’m going to be providing shorter content (but hopefully more frequently). Hope you guys had a wonderful weekend and I’d love to hear more about content you really like or would like to see!